Disclaimer: I was provided with a free product in return for my honest review. All thoughts and opinions expressed herein are my own and not influenced by the developing company, and/or it’s affiliates, in any way. If you want help finding the perfect original gift that will stand out from the crowd, have I got the thing for you! Whether you are looking for a birthday, Christmas or a personalized wedding present there is something for everyone! How is your holiday shopping going? I am normally one of those annoying people who has it all done by the time Thanksgiving weekend comes to a close. I know, insert eye rolls here. This year is different though. My list of people to buy for is longer than ever and there are very few checkmarks. 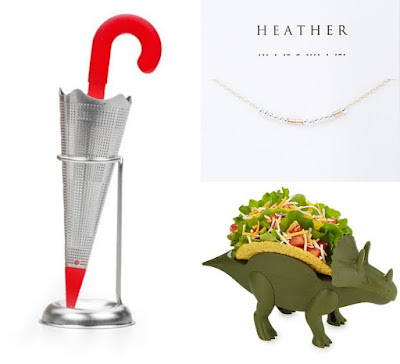 I am just having the hardest time getting ideas for fun and original gifts. Thank goodness Uncommon Goods is coming to the rescue. It is always a special moment when convenience lines up with your values. So shopping with a retailer that promotes sustainability makes my heart smile. I also like shopping small and Uncommon Goods allows me to support small businesses from the comfort of my couch. Even better than those reasons (and those are pretty good ones! ), they take it a step further and allow you to pick a non-profit at checkout. They then donate a dollar to cause. While a dollar may not seem like much, it has already added up to over one million dollars donated so far. And that's before I got started shopping for Christmas! But lets get down to business, sustainability and charitability is all well and good but who cares if they don't have anything I want to buy. Well that is definitely not the case. Not only do they have super fun products, but they help you find the perfect gift for those hard to buy people as well. I have a lot of kiddos on my list this year. All I have to do is go to the gifts for kids page and voila! There are so many great options. There are cute onesies and slippers for babies, toys, games, personalized books, decor and more! Heck, I think I want one of those balloon dog lamps for myself! With Christmas right around the corner, it is always nice to have some smaller gifts ready as well. Maybe you need some smaller tokens for friends, neighbors and coworkers. Or maybe it's the stocking stuffers that are your achilles heel. This umbrella tea steeper, custom morse code necklace and tricerataco holder and just a few of the many fun things you can find recommended on the stocking stuffer list. Maybe you want a Christmas gift idea that will really take them by surprise. Something funky, fun and unlike anything they already have. They've got you covered for that as well! 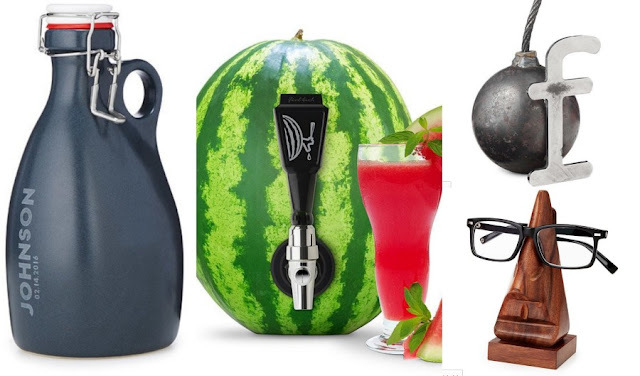 Maybe it's a personalized growler for a home brewer or a tap that turns a watermelon into a drink dispenser. Or maybe it's a f-bomb paper weight or a super fun place to rest your glasses. There is bound to be something that will but a smile on their face or have them let out a chuckle! Just when you think it can't get any better, there's more! If one of the handy gift guide lists doesn't get you just what you were looking for, there's Sunny the expert gift finder. Instead of browsing you can tell him about the recipient and he makes recommendations for you! It's a fun new way to shop! With all of these fun ideas, I know you are going to be in a hurry to get shopping. But hold on just a second and win some swag for yourself first! Uncommon Goods was nice enough to give me a fun prize for one of you! 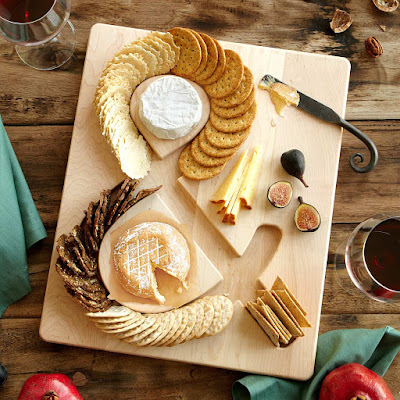 Just enter below to win a Cheese & Crackers serving board. It is a $48 value and will be a hit at your future parties. Or save it as a gift and be one item closer to being done! I can't wait to check out Sunny the Expert Gift Finder. I have one or two very hard to buy for people! You've got some really fun ideas. I have a few too, so it is fun to see what he recommends! Love the uniqueness of these ideas! That cheese board is super cool and smart! Have a great weekend! Aren't there so many fun items? I wish I could win the cheese board too! Good luck! There are just so many fun things to choose from! Love Uncommon Goods. I have a scratch off map from them that I love. 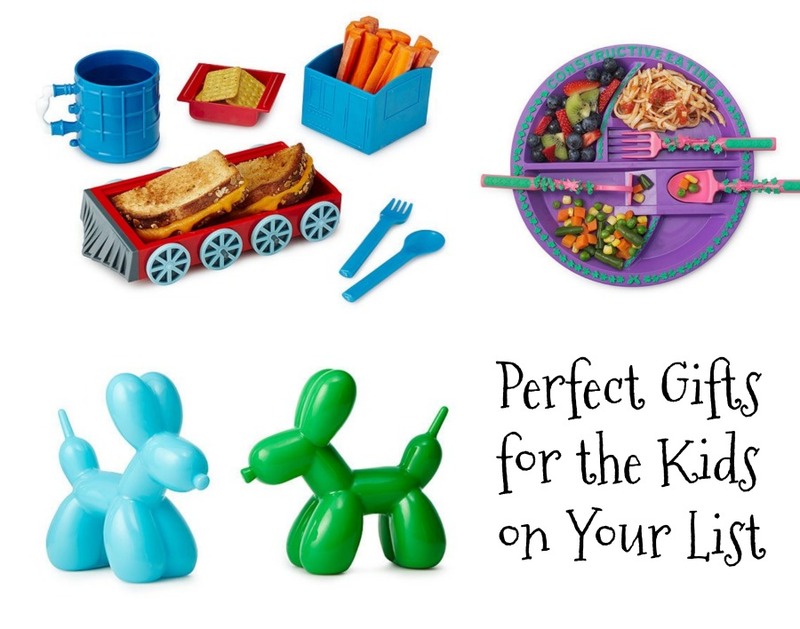 I constantly fawn over their kitchen stuff too! I’ve only barely restrained myself from buying several of their serving pieces. I saw that scratch off map, that is so much fun! I should get one of those for Little Dude to chart his travels! Rowboat Serving Bowl with Napkin Holder. What a coincidence, I was just looking at their long distance touch lamps earlier. They are such a neat idea! 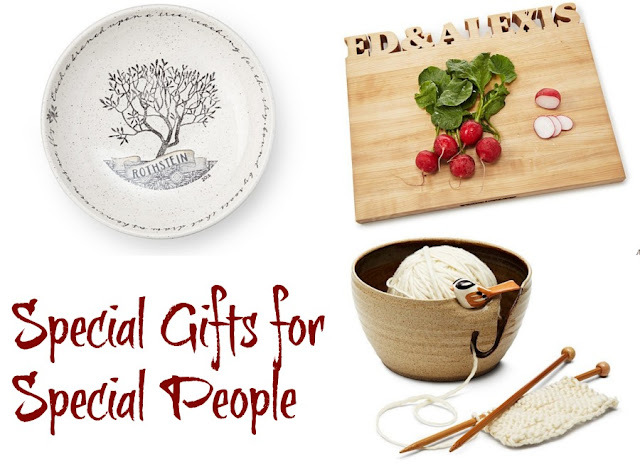 But, I think I would go for the Birdie Yarn Bowl for my sister! I would love the hidden Crystal Candles! Don't they have so many fun things? I love this cheese board. It is so nice. Thank you for your kindness and generosity. I wish I could win one too! Thanks!